Prices valid are for 1-day passes and includes ski hire for 1-day. The Perisher is among the largest ski resorts in Australia; the resort is popular among Australians and international tourists and skiers. The resort is home to the breathtaking Kosciuszko National Park. The resort is spread over seven beautiful peaks and offers more than 1.245 hectares of skiable terrain. You are sure to obtain something for every liking when booking your next ski holiday at Perisher ski resort. Nice accomodation with possibility for children daycare. Ideal for nature lovers who refuse to compromise on comfort. Ski-in/-out accommodation including Sauna and Jacuzzi. The skiable terrain at Perisher is one of the largest in Australia. The resort has 16% slopes dedicated to beginners, about 67% slopes are allocated to intermediate skiers, and 17% are reserved for advanced skiers. The Perisher has plenty of groomed runs with a special emphasis on blue intermediate runs. The Smigging holes are ideal for beginners, as the area is perfect for learning and polishing your skiing skills. The area has no shortage of soft snow to boost beginners’ confidence. Front Valley offer some terrain suitable for beginners by taking a ride on the eight-seater Village 8 Express chairlift. The beginners can then ski their way onto the next valley and take the slower Pretty Valley Chairlift to get to some longer runs, but they are usually suited for intermediate skiers as some slopes are marked blue. Intermediate skiers can try to improve their skills on the Blue Cow by taking the Pleasant Valley quad chair. Once skiers reach the Blue Cow, they will be immediately hit by the sheer size of the run the trails that can lead to twisting turns, and some areas have large boulders and snow gums. Intermediate skiers can explore the mountains further by taking the Forester Quad down towards the base of the Happy Valley T-bar. Skiers can move slightly further towards the base of the Mt. Perisher chair. This location offers some skiing trails marked green, but bluer slopes are right at the top. The location is perfect for intermediate cruisers who want more speed. Cruisers can head to the Hypertrial on Mt. Perisher or Olympic to get to the Happy Valley. The Blue Cow offers some great slopes for intermediate skiers if they take the Ridge Quad chair and get to the Outer Limits. This will be some of the best skiing experience especially when the slopes are freshly groomed in the morning. The skiers can have an exhilarating skiing experience at the Guthega by taking the Freedom chair that gives skiers access to a wide area for skiing. For intermediate skiing, the skiers can take the North Perisher T-Bar to reach a location called The Devil’s Playground. This area is allocated for expert skiers, and some trails are marked black, but most of the trails in the Devil’s Playground are marked blue. This is where the experts can enjoy some of the best slopes for experienced skiers. Sadly, the slopes for experts are limited, and most of the trails are over in a blink of an eye. Skiers can head to the challenging but limited routes at the Blue Cow, despite the small size of the black trails the Blue Cow is Australia’s longest and very challenging run. It also offers some of the best powder run after fresh snow for those who love speed. The Perisher has more than 100km of marked cross-country trails for those who are willing to indulge in cross-country skiing. The cross-country can be perfect for a peaceful walk, glide or a heart-pumping workout. It is a perfect way to explore the Snowy Mountains. As the Perisher is primarily one of the largest ski resorts in Australia, the resort also has some of the best après ski locations. 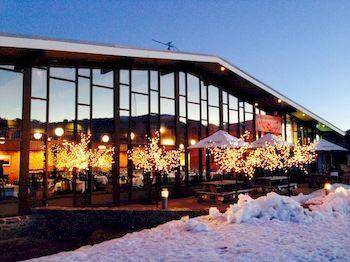 Below are some of the most popular spots for après ski. Lawson's bar is must-go for every skier for a spectacular après. The bar offers one of the best Australian crafted spirits from manufacturers around Australia. This is your chance to windup, relax after spending a long day on the slopes. The skiers can sip on some refreshing Gin and Tonic, made from the finest quality Australian Gin. Plenty of options for those who are willing to try Australian cocktails. Happy Jacks Tavern is the ideal place for après ski activities and to help them relax with friends and family after a busy day in the Perisher slopes. Enjoy delicious drinks from a wide range of options from the exclusive bar and watch live sports and major events on the giant screens. The Man from the Snowy Ridge Hotel is a perfect spot for skiers to relax and enjoy a memorable après. The Lounge Bar and the Pub Bar are two ideal locations that offer different ambiance and selection of drinks for every taste. Both the Lounge Bar and the Pub Bar are open from 5 pm onwards. 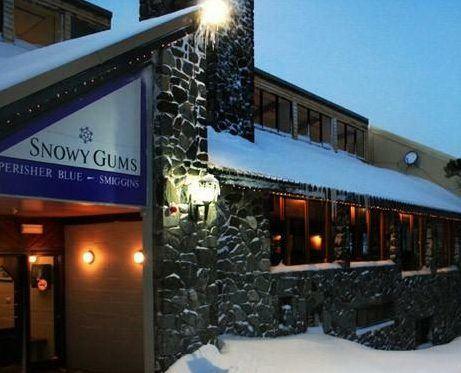 Guppies Bar explodes with fun, amusement, and vigor when skiers get together for an après ski. This is one of the best options for relaxing and meeting new friends. The Guppies bar has an open fire and gives a chance for skiers to exchange their experiences of the day at the slopes. The staff is friendly and offers a range of cocktails and other delectable drinks. The Avalanche bar is open from Saturday to Thursday. The bar is quite cosy making it ideal for some fun-filled après. Skiers can watch movies with drinks and discussions with friends about their adventures. The Perisher attracts a large crowd of skiers every year, but it does not mean that the resort is only for skiers. The resort is known for its other attractions that bring in crowds every year. Here are some non-skiing winter activities that are popular among the tourists and skiers alike. Snow tubing is a wonderful activity that anyone can enjoy. There is nothing better than to let go and have a ton of fun in Perisher. The Tube Town has specially groomed lanes allowing tourists to have a lot of fun and thrills for people of all ages. The Tube Town will take you on a speedy and thrilling ride down the slopes. The best part is tourists can take the purpose-built lifts to get back up the slope for another ride. Tobogganing is available at the Perisher, and this is a fun-filled attraction for everyone. Kosciuszko National Park maintains the location for tobogganing. The best part is that tourists can toboggan to their heart content, as the activity is free of charge. 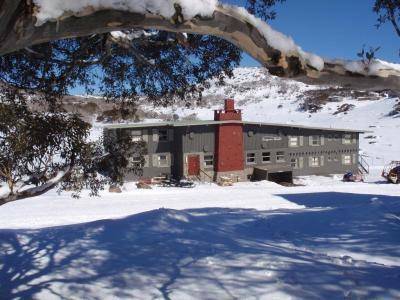 Like other resorts in Australia, the Perisher offers snowshoe tours. These tours are the best way to discover the wilderness and wildlife. The tour can be as long or as short as you want. Guided tours are available for those who are willing to experience the tour with an experienced guide. The tours are available at night, and they can be equally entertaining and adventurous at night. The night snowshoe tour will be one of the most memorable tours for you and your partner, experience the wilderness under clear starry skies. The Groomer tours permit a limited number of tourist to get a chance to ski on one of Perisher‘s $450,000 snow groomers on a night skiing tour. A normal Groomer Tour lasts about an hour.